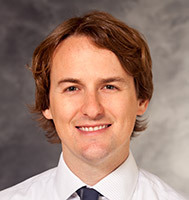 Dr. Adam Wallace is a pediatric neurologist on the inpatient service at the University of Wisconsin School of Medicine and Public Health who specializes in caring for children with acute neurologic conditions and epilepsy. He is board certified in neurology with special qualification in child neurology and fellowship trained and board certified in pediatric epilepsy. He does not see patients in the Pediatric Neurology Clinic.